In an attempt to increase revenue at US racetracks, many local jurisdictions have turned towards slot machines and table games in order to boost their business. While some states like Florida and Arkansas have approved Vegas-style slot machines and live poker tables, others have struggled against political opposition to other forms of gambling besides the pari-mutuel system. 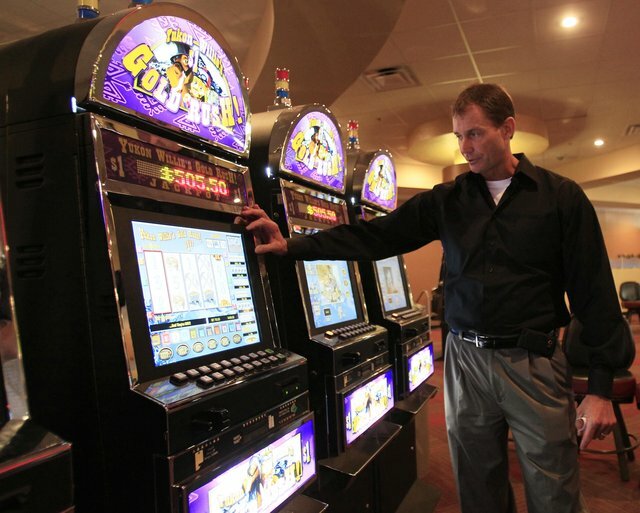 Perhaps no other state has had more controversy surrounding alternative gaming than Kentucky. While the majority of major commercial breeders are still based in Kentucky for historical reasons, the bluegrass state is quickly losing stallions and farm operators to other states such as Pennsylvania, West Virginia, and Delaware, which offer large purse supplements on restricted state-bred races. These purses are all fueled by money generated by slot machine and table game revenue and horsemen from Kentucky can only ignore this financial incentive for so long. Therefore, it was with great fanfare that Kentucky Downs, the only European style all-turf racecourse in North America, opened up a new casino featuring “instant racing” slot machines. For many casino patrons and horse racing fans, instant racing is something new. So what exactly is this new type of machine capable of, and is it a good bet? There are basically two types of instant racing machines in casinos and racinos today. The first is a machine that contains tens of thousands of video replays of previously run races. With a minimum bet of only a quarter, players choose their horses and then watch the randomly chosen race. Payoffs are in accordance with the actual finish, and for players who prefer quicker action, the video replay can be cut down to just the stretch run. Another type of instant racing machine, and the one chosen for Kentucky Downs, has a small race replay in the top right hand corner which determines the placement of the reels on a traditional slot machine. While pari-mutuel in nature, these instant racing machines are basically slot machines that conform to state gambling laws. Before the Florida legislature legalized Las Vegas style or Class III slot machines, the slots down there were all based on the outcome of an imaginary bingo game because bingo was legal while slot machines weren’t. It was a convenient legal fiction that allowed gamblers to enjoy slots while the planning for full-blown casinos was brewing in the legislature. Other states like California have equally strange gambling laws. For example, if you want to play Roulette in California, the dealers must use playing cards in addition to the wheel as games based purely on dice or random numbers are forbidden, but random cards are OK. While the first type of instant racing machine described here may convert some casino gamblers to horse racing fans, the second slot machine style type probably won’t. However, any additional revenue that will keep Kentucky Downs open is welcome news in this writer’s opinion. Kentucky Downs is one of the most beautiful tracks in America, but only open for live racing six days a year. Hopefully this extra revenue will be put to good use and allow it to open its doors to more racing fans for more racing dates each and every year.